myDrumbook is a digital drum method for iPad and OSX, available at the Apple iBooks Store. It’s the new fun and easy way to learn how to play the drums. The possibilities with an e-book are unlimited and myDrumbook is much more interactive than a traditional printed book, says Mats Werner who developed myDrumbook and has many years of experience in teaching drums and writing educational material. Clear pictures, mp3 files in different beats, fills, grooves and video clips guide you through the lessons. Download myDrumbook at iBooks Store and start playing the drums today! En unik produkt har efter ett års utveckling äntligen lanserats av mitt företag, Beatnote Company. Det är en trumskola för iBooks som nu är online i hela världen. Boken heter myDrumbook och finns på iBooks Store. I would like you to try myDrumbook and write about it in your publication / website in order to increase the interest for digital education materials. The book is now being tested by a number of percussion teachers in Sweden. Contact me for more information and for a free Promo Code for the book. The press release and high-resolution pictures are linked here. 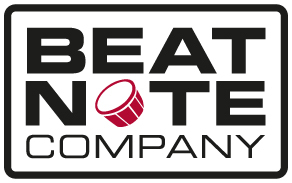 Beatnote Company is a Swedish company that produces drum methods and percussion arrangements for percussionists of all levels in the Nordic Countries and Germany. We sell EarwayToDrums in four parts, DrumContact in two parts and myDrumbook both digital and printed. The company also offers a number of different arrangements for percussion ensembles. At beatnote.se, you’ll find information about the books and arrangements and you can also listen to track samples from the books. In addition, you can download earbeats (sound files in mp3) to play along with! Mats Werner has worked as a teacher, musician and entrepeneur for many years. He published his first textbook in 1994 and since then has published 7 books, among others, for percussion and drum sets. There is a move towards digital studies and in the past year, I have been developing a method for iPad on Apple iBooks Store which will be available internationally. This is an exciting new area and since September, 2012 one book has been available on the iBooks Store as a test project. The book is free and in English, called the Drummer and is about the marching drum. The book was created to see how collaboration with Apple works. During this time I was developing the ”real” book which is a drum method in English without notation but interactive with texts, pictures, animations, sounds and videos. myDrumbook has now been available at the iBooks Store since May 2013.